One second your little bundle of joy is crawling around on the carpet like a rugrat. The next, he’s a young hero picking up sword and shield to save his kingdom! Yes, it’s quite the momentous occasion when your child picks up his first Legend of Zelda game. They’ll spend hours collecting the boomerang, the bow and arrow and tons of other goodies and the release of Nintendo’s Switch has brought us the newest version of Link to usher in the next age of Zelda! 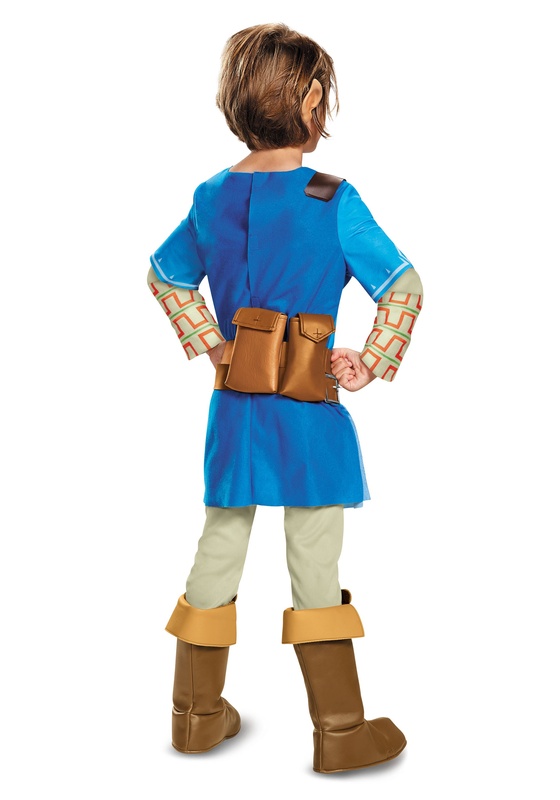 Link’s newest costume might be a departure from the classic look, but it’s going to make your child look like one handsome champion of Hyrule! This Legend of Zelda Breath of the Wild costume brings the armor worn by Link in the video game to your kid. It has a light blue tunic with printed details that create the style seen in the game. It also comes with a number of belts and pouches that help craft an authentic look. 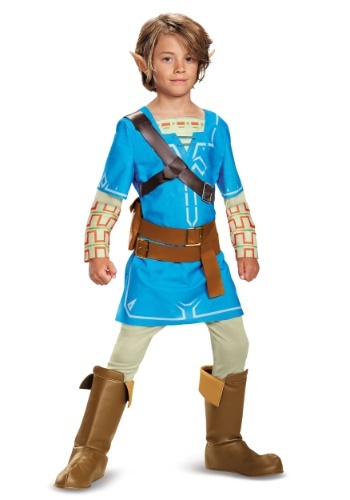 Of course, your child will have to provide the adventurous attitude to match the look, but we’re willing to be that your little hero is ready to fight any manner of foe, from moblin to Ganon himself! Of course, if you want to save your little one a few extra steps on his journey, you could always add a Hylian shield, a sword and a toy bow and arrow to your order so he doesn’t have to traverse quite so many dungeons on his trip to save Hryule.